The everyday routine a domestic student experiences, can be quite a challenge for international students. 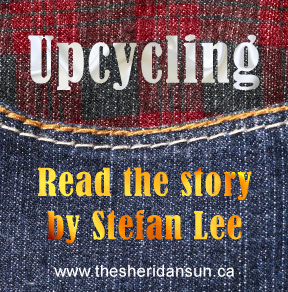 Moving to an unfamiliar country and adjusting to a different culture is something most Canadians have never endured. “The hardest part for me is letting go of my old life, and beginning a new one,” said Nikolina Garaca, an international student in the Social Service Worker program. Garaca emigrated from Bosnia last year. International students face some overwhelming changes when settling in here, and language barriers often play a significant role. “I was fortunate was enough to have learned English fluently at a young age. Other international students struggle with the language barrier,” said Garaca. I had an image of Canada being the land of opportunity, it’s why chose this country. Garaca is a project manager for SISA (Sheridan International Students Association), a group that helps them cope with homesickness, and build relationships with other students. It also gives students an opportunity to speak their original language. Sheridan also offers the services of the International Centre to help students make the transition. “Many students arrive without knowing anyone, the International Centre is their first contact,” said Reshma Banu, an administrative support officer in the centre. Banu is a former Sheridan international student. She left India in 2013 and arrived during Ontario’s infamous ice storm. “The biggest concern for many students is the weather,” Banu explained. Sheridan runs annual coat drives for students need warm gear. Davis Campus distributed more than 100 winter items in 2015. Adjusting to a new life can be both exciting, and demanding at the same time. “Canada is a very independent society, and is tough for family-oriented students,” said Banu. Many have never left home before, and they face the pressure of meeting expectations their families may hold. “Their families often expect these students to excel, and sometimes there isn’t much room for error,” said Jacinta Goveas, a Community Studies professor. It is common for people to mistake international students as immigrants. In fact, there is a difference. “Immigrants have full closure knowing they are a permanent resident of Canada,” said Goveas. International students choose to stay in Canada, and then to apply for permanent residency. The process is long and can take years. Immigrant students also pay domestic fees, rather than expensive international ones. People tend to think we are rich because we pay the price of an international student. Financing international education can be a challenge. “International students in particular struggle with finances, as tuition is often tripled for them,” said Banu. Those students who wish to work must go through the vigorous process of obtaining a work visa. This too can take months, even years to get. Garaca works part-time at a deli to help support herself. “It doesn’t necessarily mean we are rich or poor, we just pay the price of tuition,” Garaca added. International students can also struggle with the curriculum and its delivery. “It is common for international students to have trouble navigating through online interactive systems,” said Banu. Online platforms such as SLATE can become another thing to adjust to. In addition, Canadian curriculum expects class discussion and participation. “It isn’t always easy to take the initiative to put forth the effort in an interactive classroom,” said Goveas. Goveas urges her students to make an effort to speak up, and participate in the classroom. 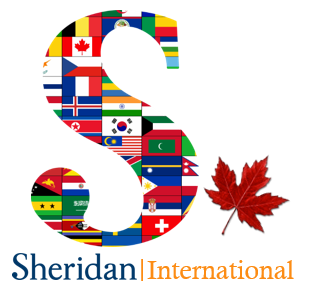 Sheridan has approximately 4,000 international students at any given time, according to the International Centre. With such a diverse student community, students are exposed to different nationalities and become worldlier. “It’s a way of travelling without travelling, and it broadens the scope of your understanding of the world,” said Goveas. Added by rossandersen on January 26, 2016.